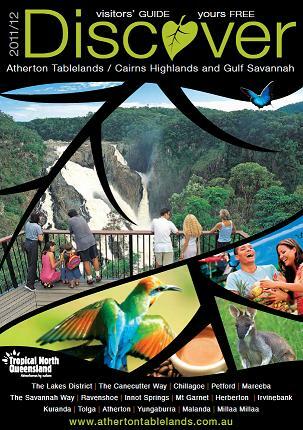 Natures Wonderland - Atherton Tablelands has World Heritage Rainforests, Waterfalls, National Parks, Crater Lakes and Volcanic formations with a backdrop of rolling green hills. Wildlife Paradise - abundant birds, rare and endangered mammals such as the platypus, tree kangaroo and the cassowary can be found on the Atherton Tablelands. Historic Villages - quaint villages dot the countryside, providing services such as accommodation, dining and shopping facilities. Book your Atherton Tablelands Accommodation online now. 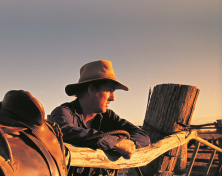 Assessible Outback - within an hour, you can reach the magnificent outback landscapes and Savannah Grasslands that provide the diversity of experiences on the Atherton Tablelands. 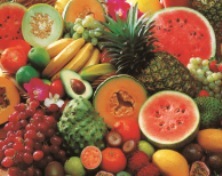 Taste our local produce - our volcanic soils are the base for a rich agricultural region, supporting coffee, tropical fruits and nuts and a dairy industry. Friendly People - country people are just friendlier, come up and visit the Atherton Tablelands and say gday. Mountain Fresh Climate - at approx 750m, the Atherton Tablelands climate is cooler and fresher than the coast. 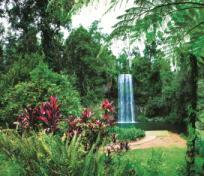 Explore our website to find more details on the beautiful Atherton Tablelands. 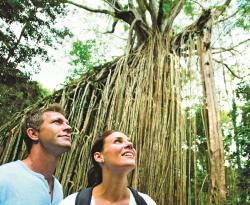 Book your Atherton Tablelands Accommodation online, but make sure you stay at least a few days. Our most common complaint is "I wish I had stayed longer!"